Strike: NMA urges members to disregard sack threat – Royal Times of Nigeria. The doctors have been on strike over the non-payment of their salaries. 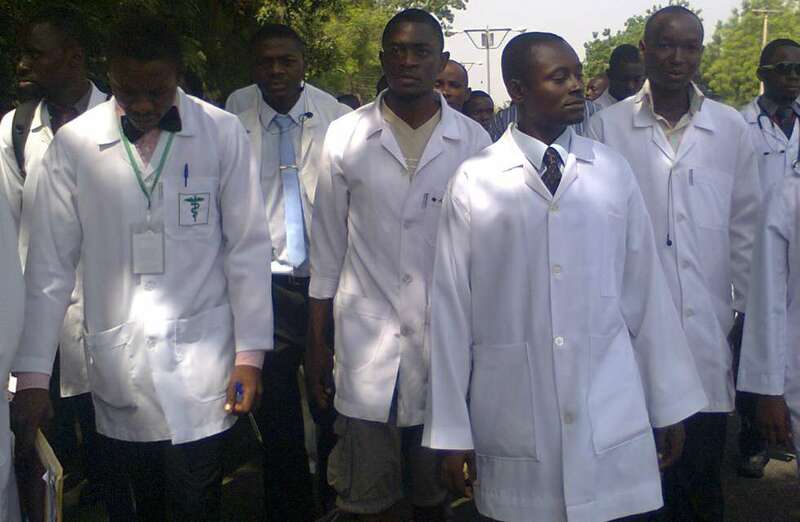 The Kogi chapter of the Nigerian Medical Association (NMA) has advised its members to disregard threats by the state government to sack doctors over the ongoing strike. The News Agency of Nigeria (NAN) reports that the doctors have been on strike over the non-payment of their salaries. The Acting Head of Service, Mrs. Kehinde Lawal, has directed the Chief Medical Directors of hospitals to open duty registers from Monday, May 8, vowing to sack doctors not at work from the said date. Whereas Dr. Tijani Godwin, Chairman of the Kogi chapter of the NMA, said in a statement on Saturday in Lokoja, that the strike would continue until the doctors’ demands were met. Urging the striking doctors to be resolute and never be intimidated, he said that no doctor should sign any register at any hospital. “Any member, who disobeys the decision of the congress, will be sanctioned. The congress decision is binding on all members,” he declared. Godwin urged the doctors to disregard threats meant to distract them from pursuing what was legitimately theirs, and stressed the need for the doctors to unite so as to save the profession.